Actress Emma Stone told Elle that she uses baking soda mixed with face wash to create a gentle exfoliant for her skin. You can also mix baking soda with lemon juice, a mild acid, to create a foamy exfoliating scrub that not only improves complexion, but can also remove a spray tan, soften skin, and help to neutralize acids. Major manufacturers of toothpaste use baking soda and peroxide in combination to create a whitening formula. You don’t need the peroxide if you don’t want it. A little baking soda, made into a paste by adding a small amount of water, makes a greatteeth whitener. Don’t use it too often though, because it is abrasive and can wear away at enamel. Use it once a week to remove plaques and stains. Many breath mints just cover up odors, but baking soda can eliminate them entirely. The same properties that allow baking soda to deodorize your closet and your fridge will work just fine in your mouth. Dissolve a teaspoon of baking soda in half a glass of water, then swish and spit the mixture to get clean, fresh breath. When mixed with a bit of water and soap, baking soda can clean and condition your palms. It is gentler than harsh scrubs for persistent stains and will leave your skin smooth and clean. As an added bonus, baking soda can neutralize odors on your hands, such as those deep down odors you get from preparing a meal. You can use baking soda to remove the crud that accumulates in your hair as a result of normal shampooing. Doing this once per month will leave your hair softer and shinier, but beware that baking soda has a very high pH and can throw off the pH balance of your hair. Use a low pH conditioner after a baking soda treatment to restore your hair’s normal balance. Some people use vinegar to clarify their hair, apple cider vinegar to be exact, but that leaves an unpleasant odor that baking soda does not. Adding a half of a cup of baking soda to bath water can neutralize skin acids, clear away oils, and cut through perspiration and odors. It will leave your skin feeling soft and looking radiant. A baking soda body soak is just as good as any of the highest quality bath salts. Baking soda is a great way to remove oils and caked on makeup from cosmetic brushes. Soak your brushes in a mixture of one teaspoon of baking soda in a single cup of water, rinse them and let them dry. The next time you use your brushes, your makeup will go on more evenly. This may not seem like a beauty tip, but it can really make a difference. Baking soda makes a great cleaning and polishing agent for both finger nails and toe nails. Whether you are going for a pedicure or a manicure, use baking soda on a nail brush to scrub under your nails and polish your cuticles. Make a paste of three parts baking soda to one part water. Rub the paste into your nails to exfoliate and polish them. Mix four tablespoons of baking soda with up to ten drops of a pleasant-smelling essential oil to create an underarm deodorant that you can apply with a brush or your hand. You may need to reapply this deodorant throughout the day, but it contains no dangerous chemicals and will keep you smelling fresh. A drawing agent is a substance that pulls moisture from a pimple to help dry it out and reduce inflammation. A baking soda paste will do this just as well as most commercial agents when it comes to surface acne. It will dry the blemish and sooth surrounding inflammation, helping to hide any redness. There are few home remedies that live up to their hype, but baking soda is one that continues to deliver in almost every task it is put to. 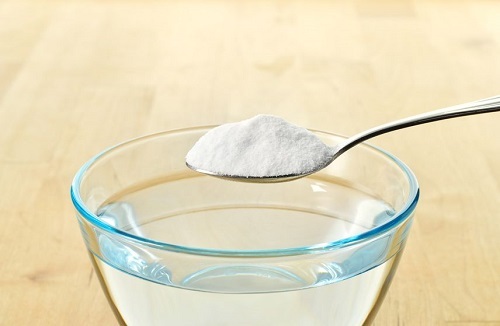 What makes baking soda so great is that it is completely non-toxic. You can eat it, slather it on your skin, or take a bath in it without any worries. The tips above are just the beginning though, so consider that baking soda may be the perfect solution to your next beauty need.